Google: "We will never launch a product or acquire a company unless we are completely satisfied with its legal basis for operating"
YouTube owner Google has launched a broadside at Viacom after the media conglomerate launched a $1 billion lawsuit against it. The MTV owner cited "massive intentional copyright infringement" in the suit, filed yesterday. The complaint contended that "160,000 unauthorised clips of Viacom programming" are available on YouTube. The media giant maintains these clips have been viewed more than 1.5 billion times between them. 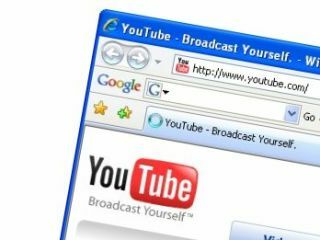 However, Google has hit back, saying what YouTube does is within the limitations set down by the 1998 US Digital Millennium Copyright Act (DMCA). The act is seen as one of the key definers of digital copyright in US legislation. Alexander Macgillivray, Google's counsel, told Reuters : "Here there is a law which is specifically designed to give Web hosts such as us, or... bloggers or people that provide photo-album hosting online ... the 'safe harbor' we need in order to be able to do hosting online." "We will never launch a product or acquire a company unless we are completely satisfied with its legal basis for operating." Viacom's papers were filed in the Southern District of New York for "massive intentional copyright infringement of Viacom's entertainment properties". "YouTube is a significant, for-profit organisation that has built a lucrative business out of exploiting the devotion of fans to others' creative works in order to enrich itself and its corporate parent Google," said a statement released by Viacom. Viacom contends that YouTube's strategy has been to "avoid taking proactive steps to curtail the infringement on its site". This, the statement says, generates "significant traffic and revenues for itself while shifting the entire burden - and high cost - of monitoring YouTube onto the victims of its infringement". Viacom's statement says YouTube's behaviour is in "stark contrast" to other content distributors, who it says have "concluded agreements" to make content available legally. Viacom says YouTube and Google are taking "the fruit of our efforts without permission and destroying enormous value in the process". The corporation says it has attempted to negotiate with YouTube and its parent, but that it has been ignored. Viacom asked YouTube to remove 100,000 clips in Febuary. Several key partnerships have recently been struck allowing YouTube to carry legal content, including one with the BBC .